The final semi-final spot in this year's Champions Cup was the prize on offer today in the Aviva Stadium. 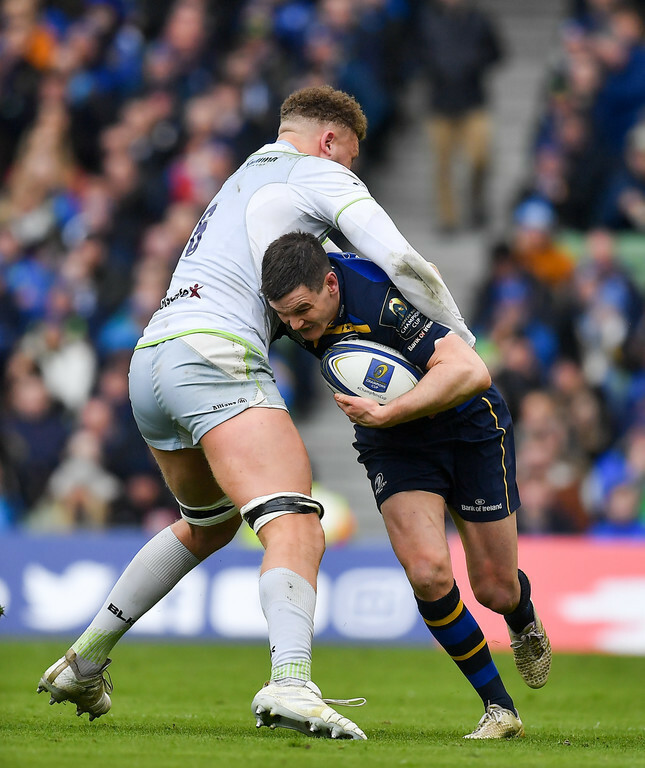 Leinster and Saracens clashed to produce another seismic European clash with the intensity often nearing test level. After 80 full throttled minutes it was an eleven point victory for Leinster on a scoreline of 30-19. This season has marked a new phase in this Leinster team's development. Their skill has been obvious for some time but there is steel beneath that style. Against Exeter in the group stages and again today they did not merely met the physical challenge but dominated it. 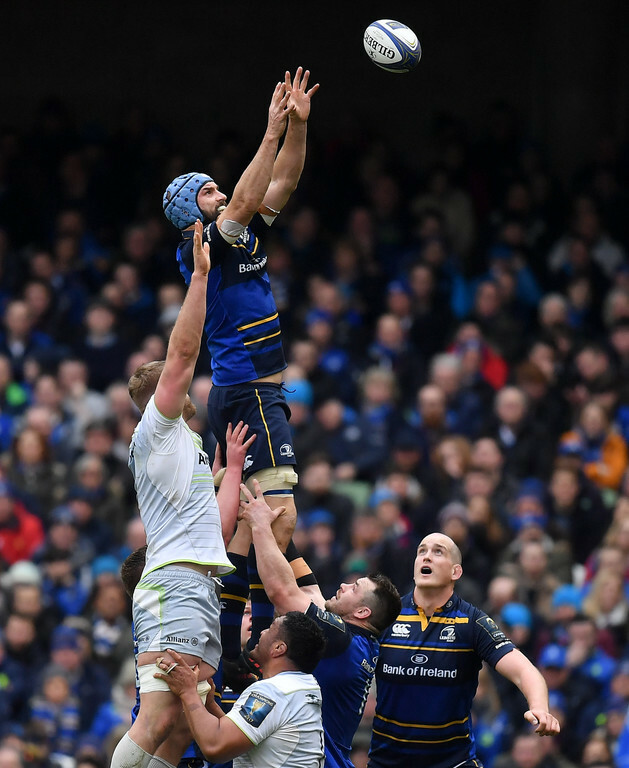 With a home semi-final beckoning this is a Leinster side to be feared by the remaining four. Thanks to Leo Cullen and Stuart Lancaster are versatile enough to implement various gameplans, often over the course of one match. There can be no doubt about it, Leinster are the favourites to conquer Europe this year. Carried on from his excellent Six Nations form to cover the backfield well. Instigated a great break out wide shortly after the break which eventually led to a Sexton penalty. Constantly gives his all and deserves a 10 for work-rate but didn't quite happen for him at times. Elected to hit up the middle when James Lowe was screaming for the ball with space out wide and accidentally conceded a late penalty that gave Saracens crucial field position. 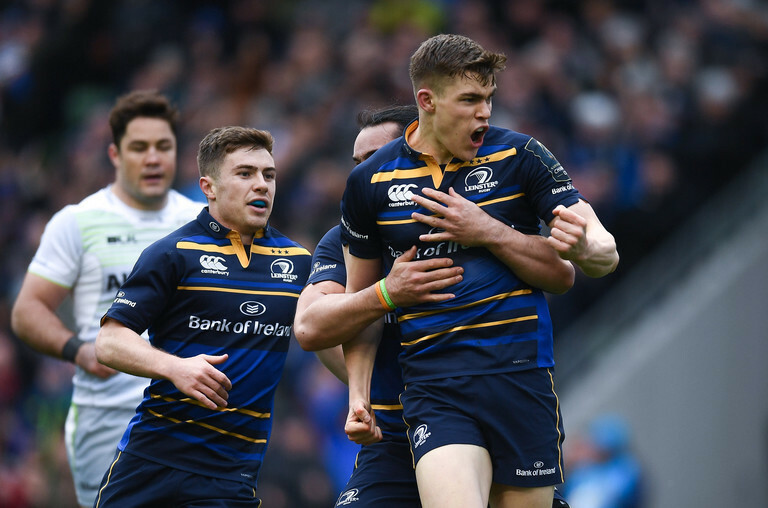 Ringrose's attacking talent is obvious and the former Blackrock man is undoubtedly a gem with ball in hand, but today was a testament to his ability to dig-in and do the 'dirty work.' In the absence of Henshaw it was all the more necessary but Ringrose chased diligently, was ferocious in defense and ran relentless support lines which produced an early try. Kicked superbly. Executed a chop tackle any back row would be proud of early on. An immense tackle count and an overall terrific captain's performance. Timed his pass for the opening try to perfection and a real livewire going forward. Took his try expertly after some excellent work by the pack. A dedicated kick-chaser. Excellent defence in the closing minutes to force an error from Farrell. Banished the woes from the tee he endured during the Six Nation's early on with a conversion and two penalties but gifted Saracens three points after kicking the ball away just before half-time. On commentary Brian O'Driscoll said Sexton is slowly becoming a '70 minutes' man but that is no slight given the work he does while on the field and the options available. McGrath is quickly emerging as a remarkably intelligent scrum-half. Dictates the tempo expertly and despite some extra attention from the Saracens back-row. The absence of Gibson-Park added pressure on the 25-year-old but lasted 65 minutes. Emperor of the scrum. Replaced by McGrath early in the second half. Six carries for 21 metres in a typically strong performance as a runner. 5/5 with the lineouts. So much more than an impact sub. Replaced by Treacy after an hour. Embodied the aggression John Fogarty spoke of during the game. Nulified Vunipola's carrying with two huge tackles, one of which forced the knock-on. 16 tackles with only one missed. It cannot be underestimated how important that tackle was after 65 minutes to halt a Saracens break away. The English side had just scored a try and had they continued momentum on that move would have looked likely to add a second. Otherwise very quiet in the loose and will be unhappy with a measly three carries for zero metres. Sinbinned after 75 minutes. His work in the loose was once again exceptional and contributed a jaw-dropping 18 carries. Then there was THAT pass. The hand's of a pianist to take a big hit while offloading in field to free Leavy. Was the spark once again for the third try with a brilliant break. His ability to pass and make breaks is a testament to the fifteen man game Leinster are implementing. Concern that he may have been shoehorned into the back-row to get him on the field but proved more than capable and was a persistent pest in the defensive line-out. One of the best signings for any province this year. 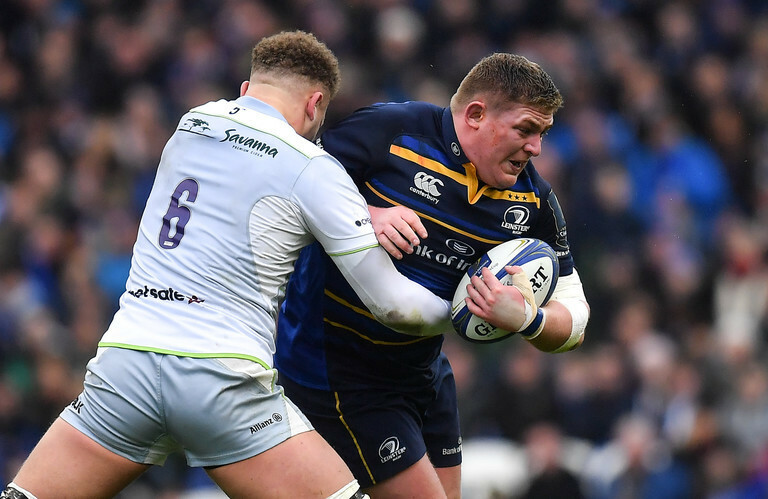 It is remarkable that a talent like Sean O'Brien's absence entirely unaffects club or country but the dawning of Dan Leavy ensures that is a reality. A monster performance once again. Back-to-back breakaways while his tackle count is a joy to behold. The least tackles of any Leinster forward which is more a testament to their phenomenal work ethic than his underperformance. A strong counter to Schalk Burger. Jack McGrath and James Treacy both came on early and continued to build on the early dominance of the Leinster pack. Leo Cullen has a stacked squad at his disposal and rightly utilised it by introducing replacements early on. After 70 minutes Leinster had a new half-back partnership with Joey Carbery and Nick McCarthy assuming the mantle. Encouraging to see the return of Rhys Ruddock. Scarlets await in Dublin with that game scheduled for April. We are just two wins away from an All-Irish final.